Clear up your home or commercial drain and sewer line blockages fast with our Granada Hills drain cleaning services. We use the most advanced rooter tools from hydro jetting to drain snakes and other technology, that can handle the most difficult of problems. Call us now at (323) 745-2839 for blockages in your plumbing lines, sewer lines, main lines, sinks, toilets, showers and more. Drains are often taken for granted until they clog and/or overflow. Don’t let clogs put a hold on your plumbing system and cause flooding and other dangerous problems. 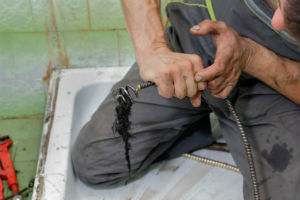 When serious stoppages and backups occur, we offer the top quality drain cleaning Granada Hills residents expect from an experienced plumbing company. Contact the Granada Hills emergency drain cleaning experts 24 hours a day at (323) 745-2839.